Productivity gradients in the boreal forest are largely determined by regional-scale changes in soil conditions, and bacterial communities are likely to respond to these changes. Few studies, however, have examined how variation in specific edaphic properties influences the composition of soil bacterial communities along environmental gradients. 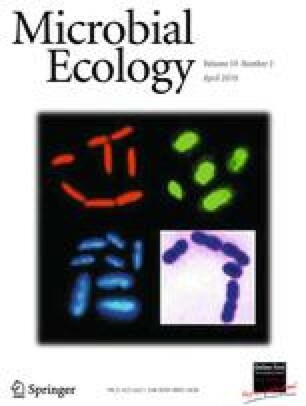 We quantified bacterial compositional diversity patterns in ten boreal forest sites of contrasting fertility. Bulk soil (organic and mineral horizons) was sampled from sites representing two extremes of a natural moisture-nutrient gradient and two distinct disturbance types, one barren and the other vegetation-rich. We constructed 16S rRNA gene clone libraries to characterize the bacterial communities under phylogenetic- and species-based frameworks. Using a nucleotide analog to label DNA-synthesizing bacteria, we also assessed the composition of active taxa in disturbed sites. Most sites were dominated by sequences related to the α-Proteobacteria, followed by acidobacterial and betaproteobacterial sequences. Non-parametric multivariate regression indicated that pH, which was lowest in the natural sites, explained 34% and 16% of the variability in community structure as determined by phylogenetic-based (UniFrac distances) and species-based (Jaccard similarities) metrics, respectively. Soil pH was also a significant predictor of richness (Chao1) and diversity (Shannon) measures. Within the natural edaphic gradient, soil moisture accounted for 32% of the variance in phylogenetic (but not species) community structure. In the boreal system we studied, bacterial β-diversity patterns appear to be largely related to “master” variables (e.g., pH, moisture) rather than to observable attributes (e.g., plant cover) leading to regional-scale fertility gradients. We want to thank David Lee for his invaluable help with the construction of clone libraries. Support for this work was provided by NSERC Collaborative Research and Development (CRD) grant CRDPJ 305475-03.